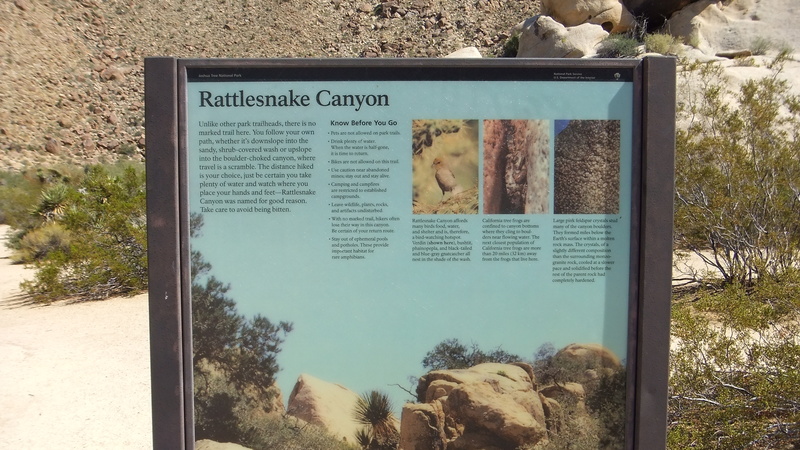 THE HIGHLIGHT OF RATTLESNAKE CANYON is a polished slot canyon located 0.4 miles up the wash from the picnic area. 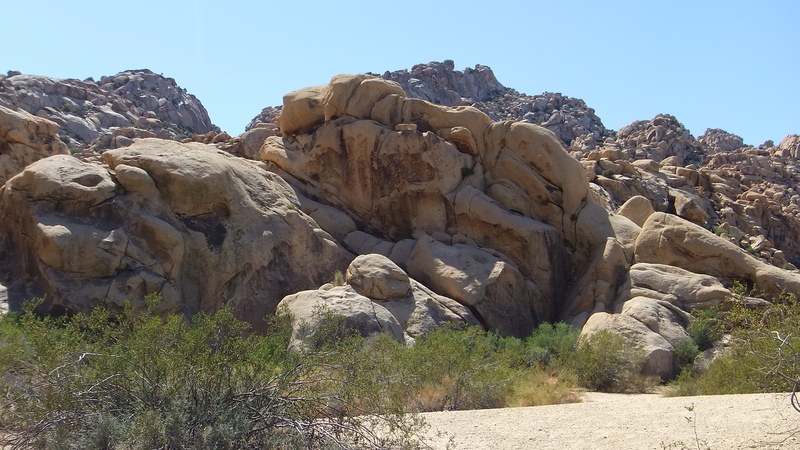 After rainstorms, water swirls in large potholes as it cascades down through the multi-leveled canyon. 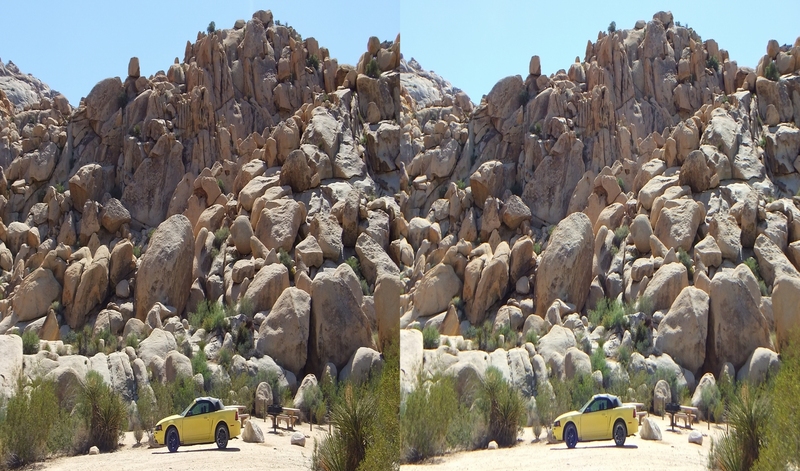 Some of these potholes retain wather throughout much of the year. 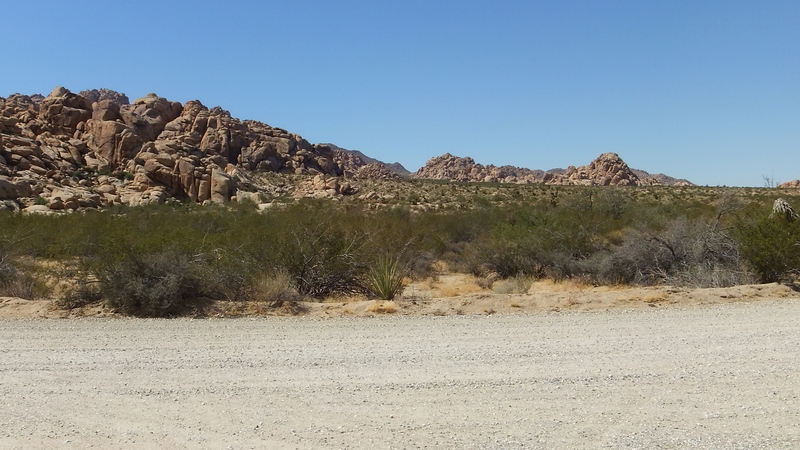 For many hikers, the slot canyon and adjacent smooth slab are a natural barrier to further travel. 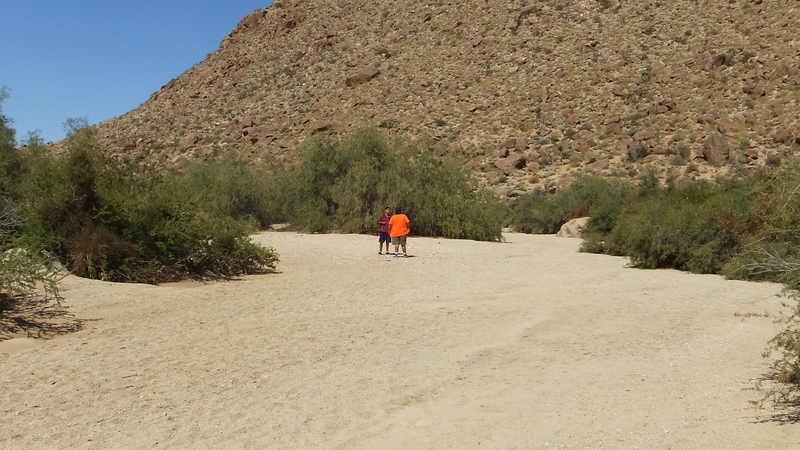 Head east from the picnic area to a large wash, then go south up the wash. 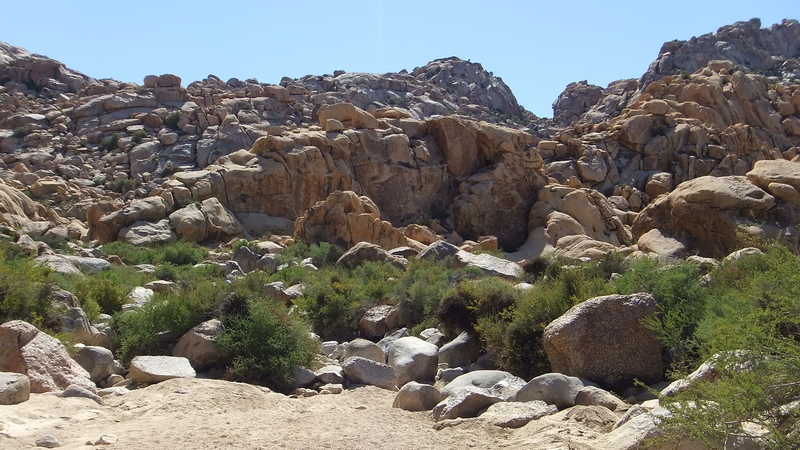 The was soon become cluttered with boulders. 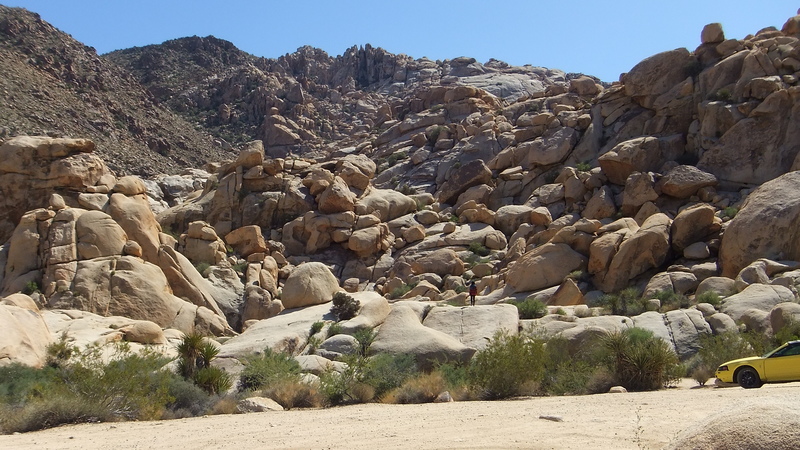 To reach the base of the slot canyon, some moderate boulder scrambling is necessary. 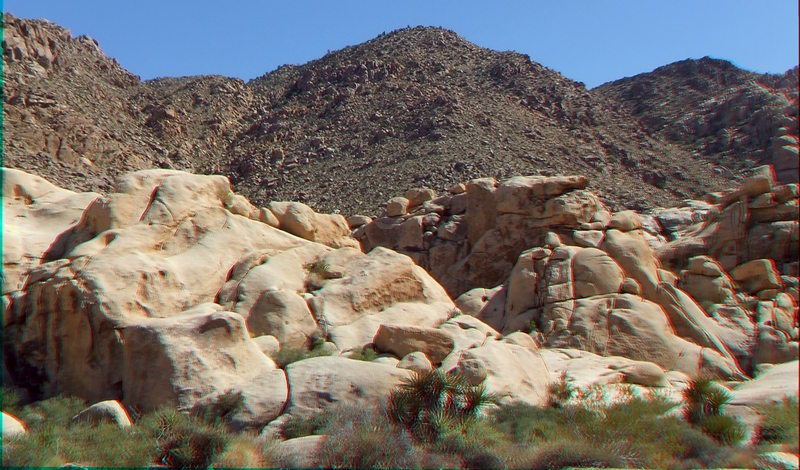 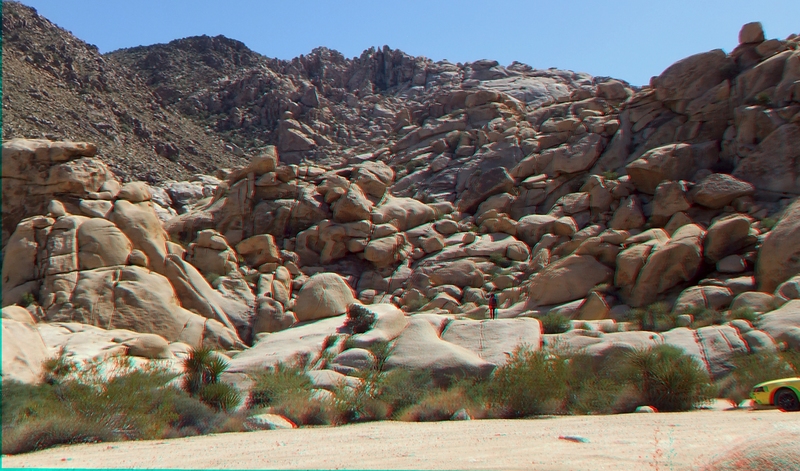 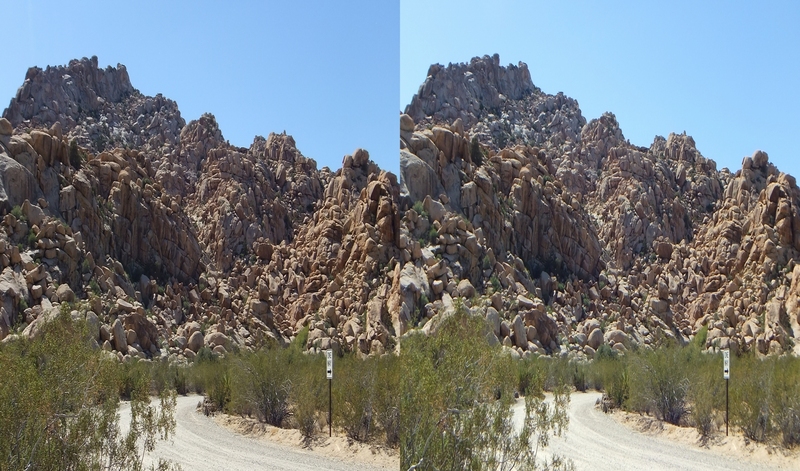 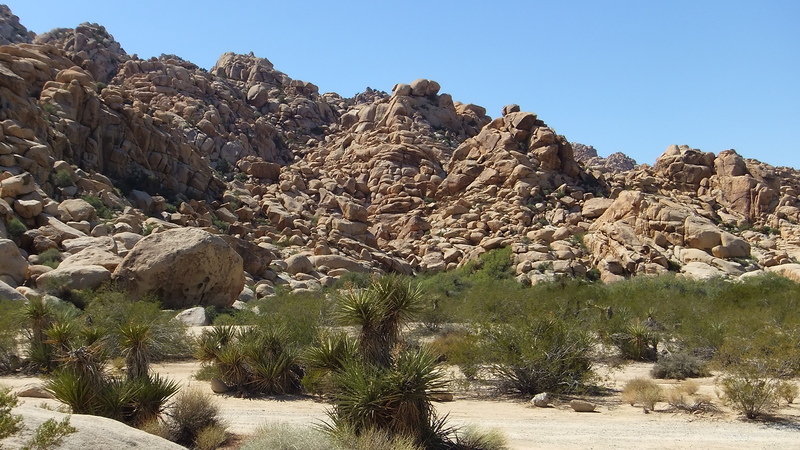 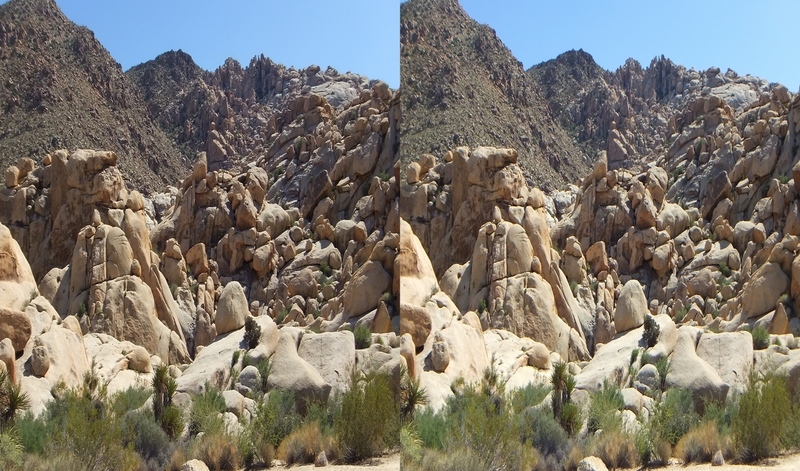 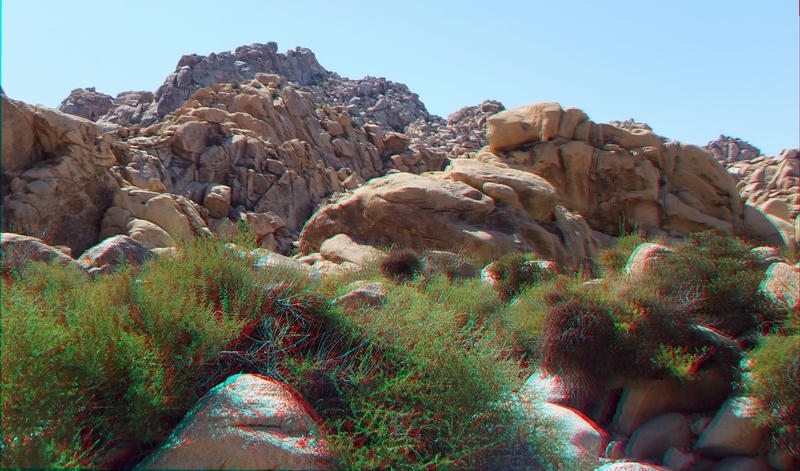 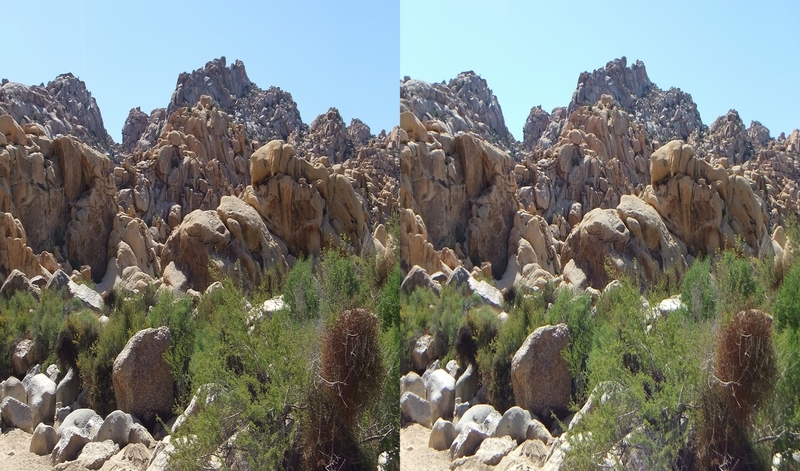 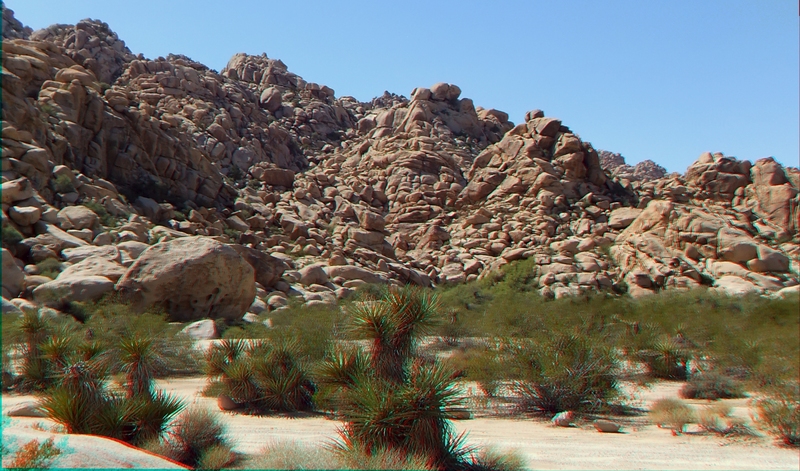 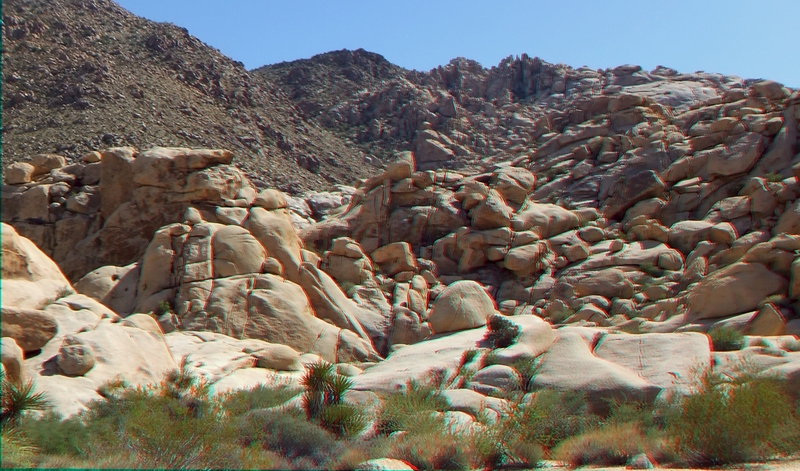 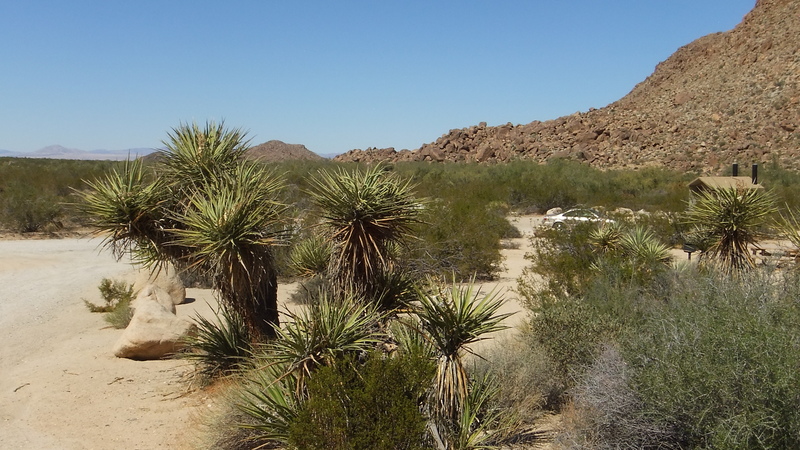 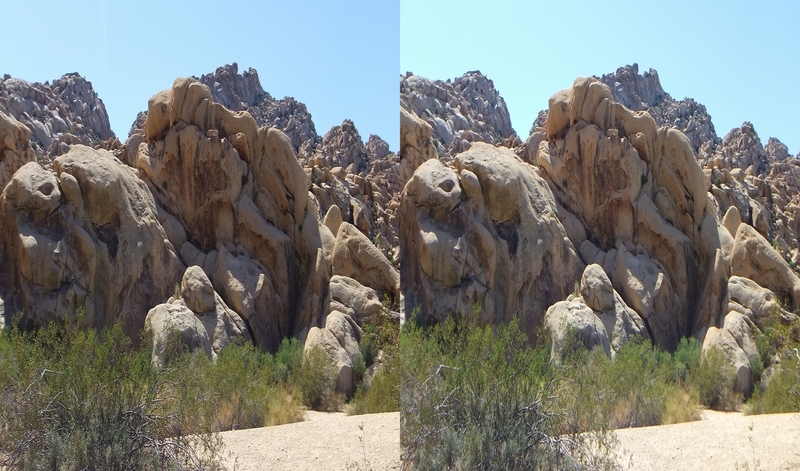 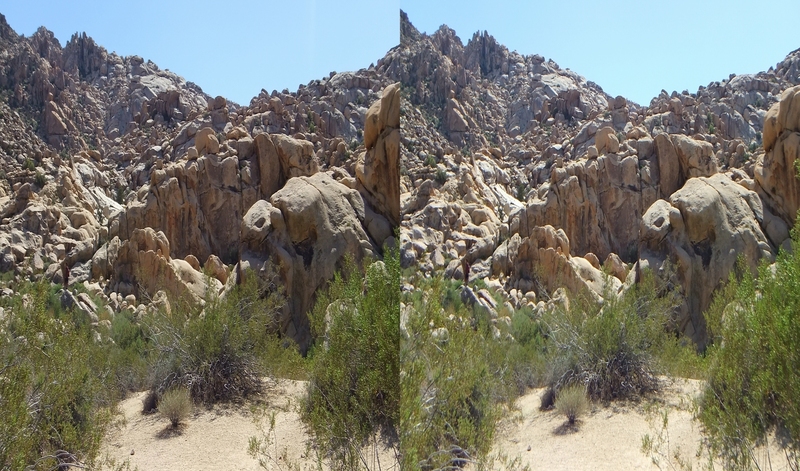 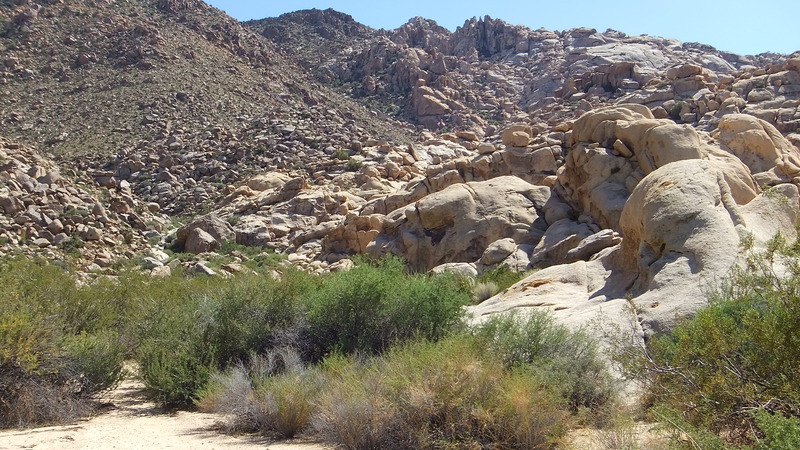 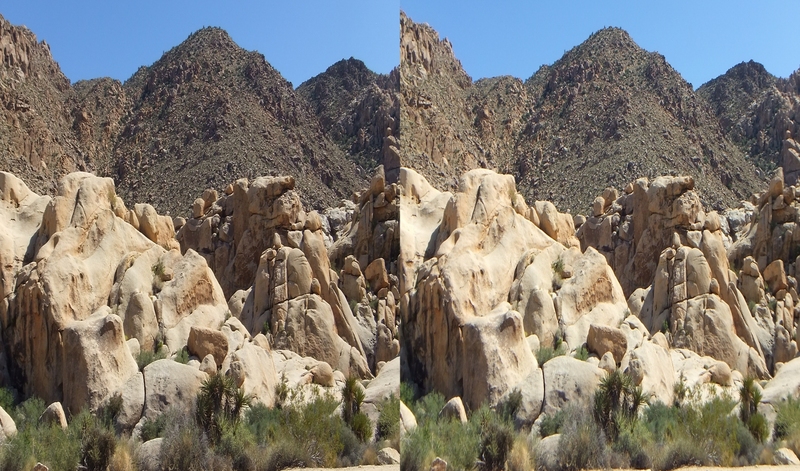 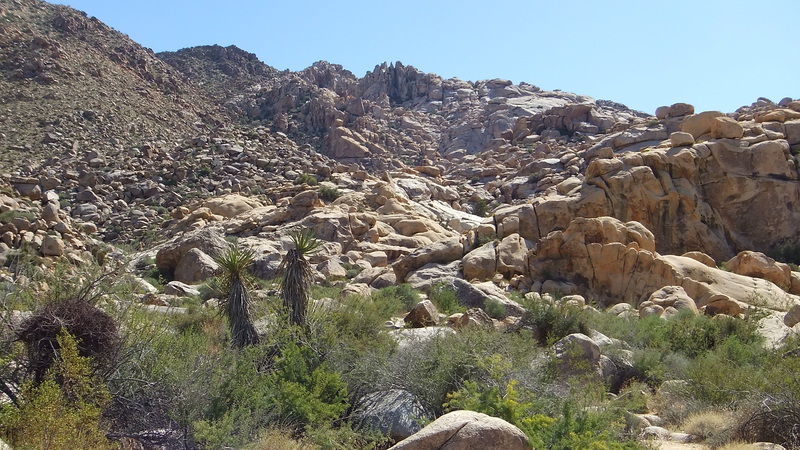 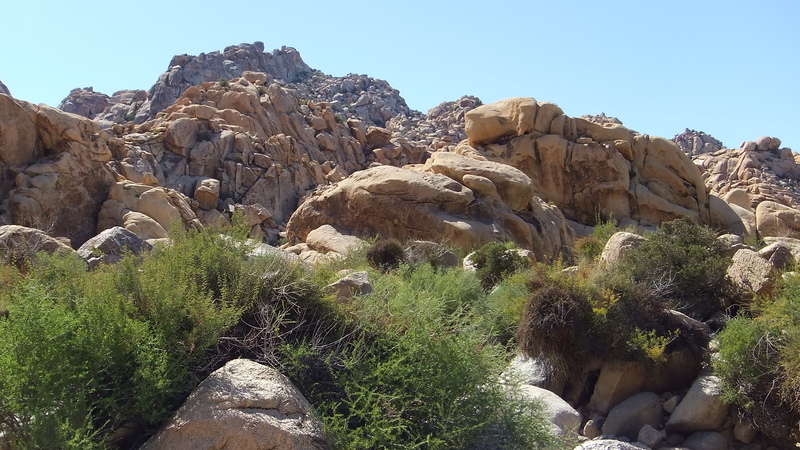 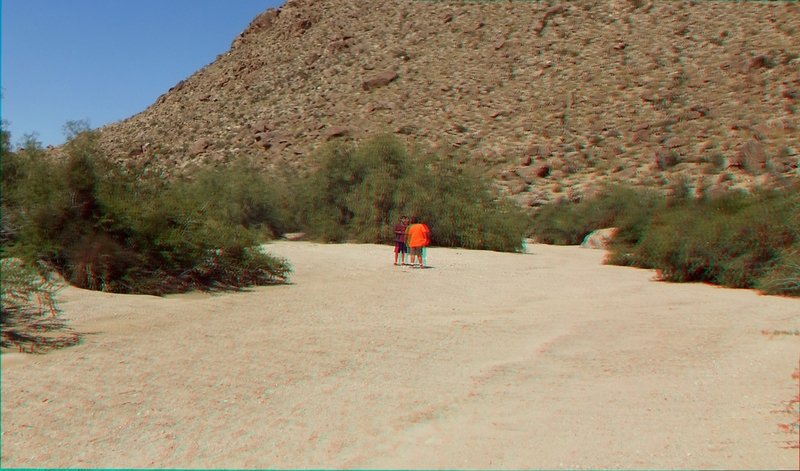 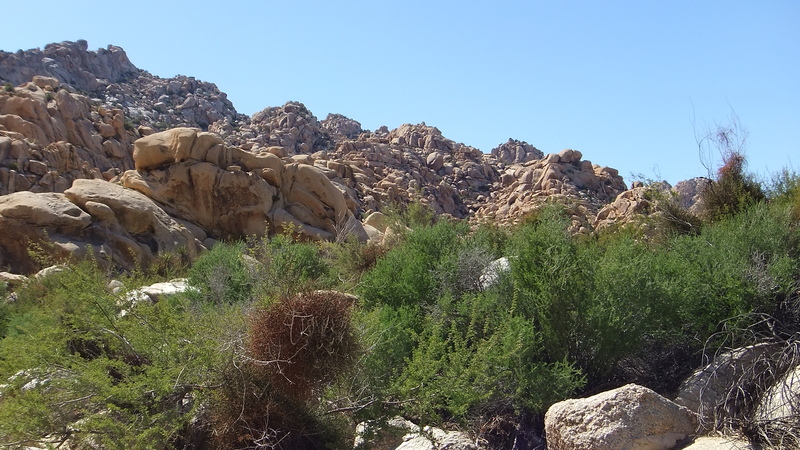 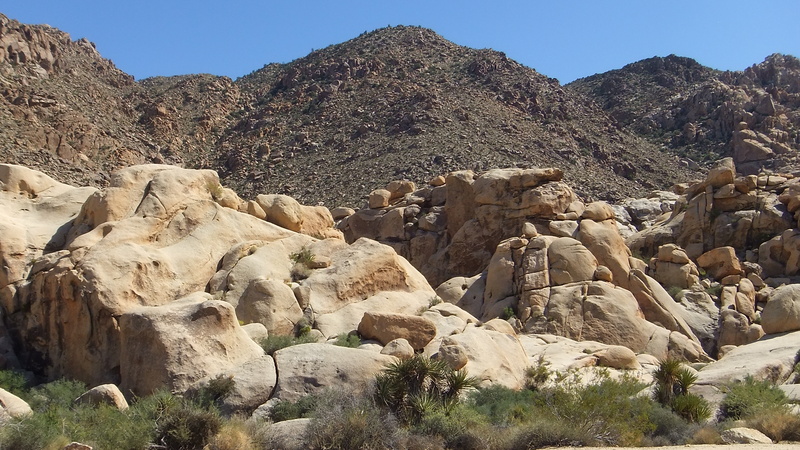 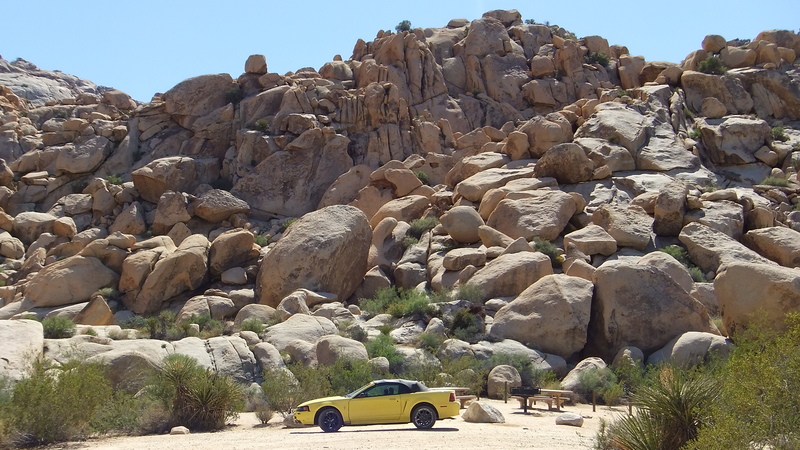 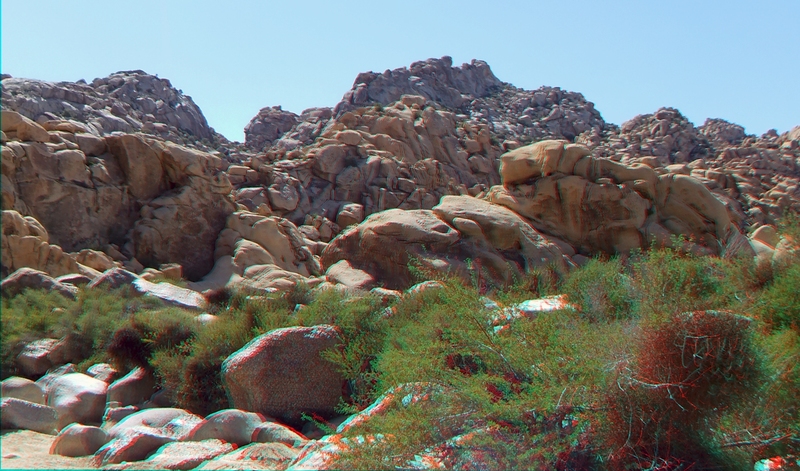 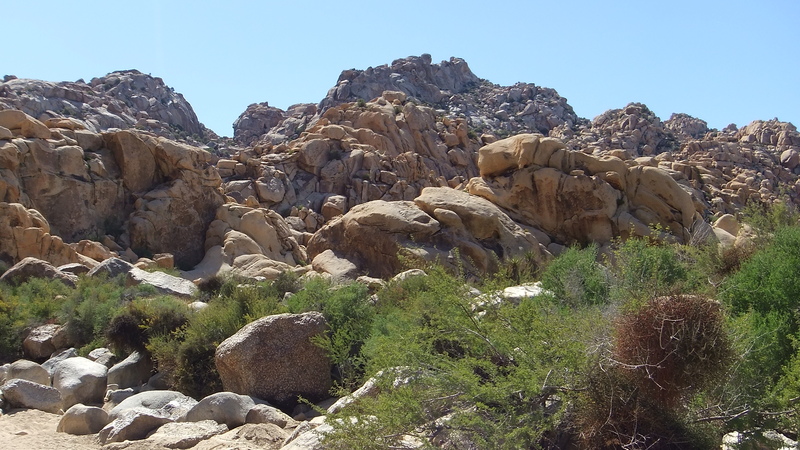 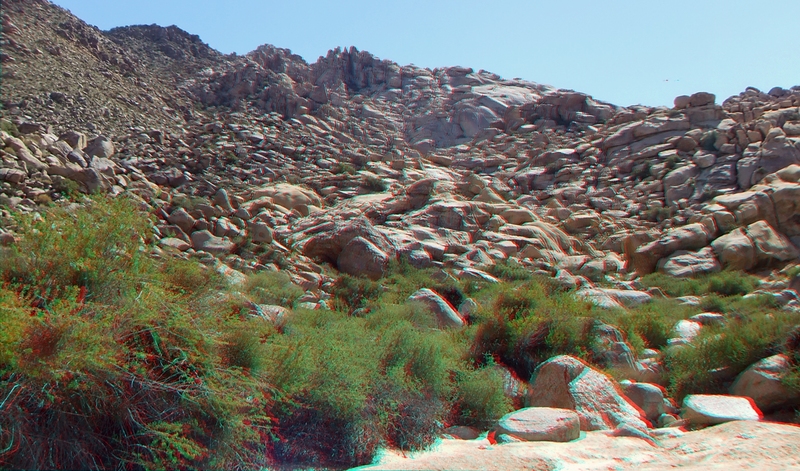 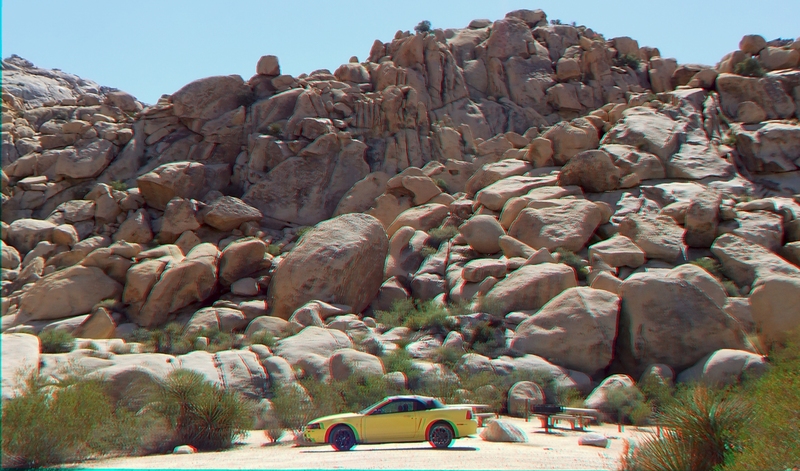 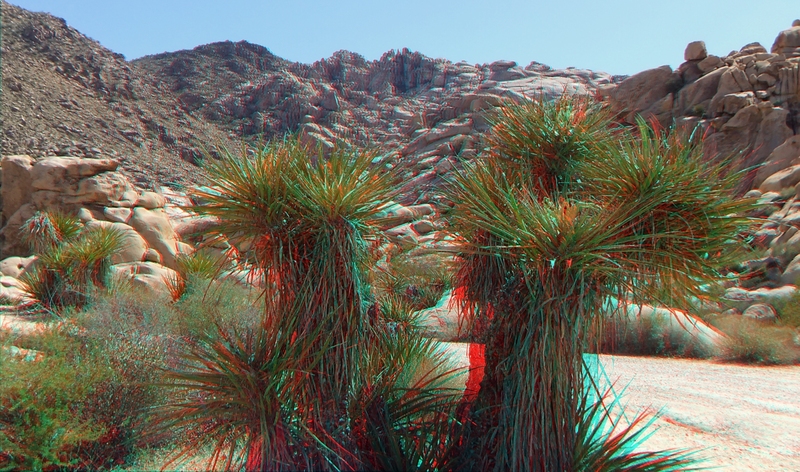 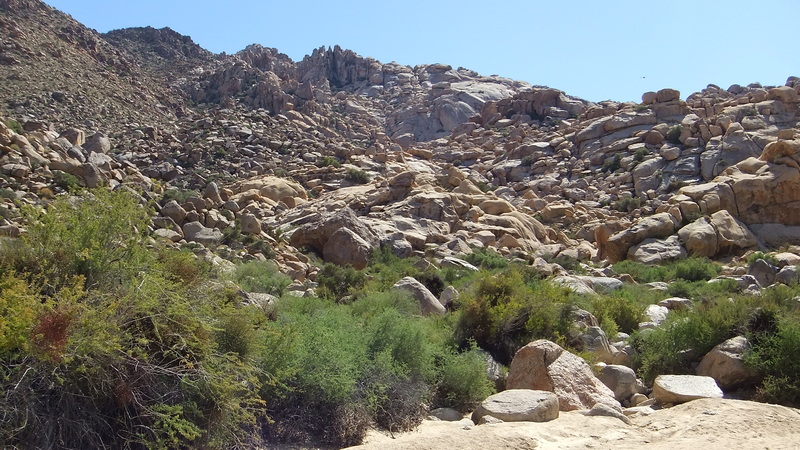 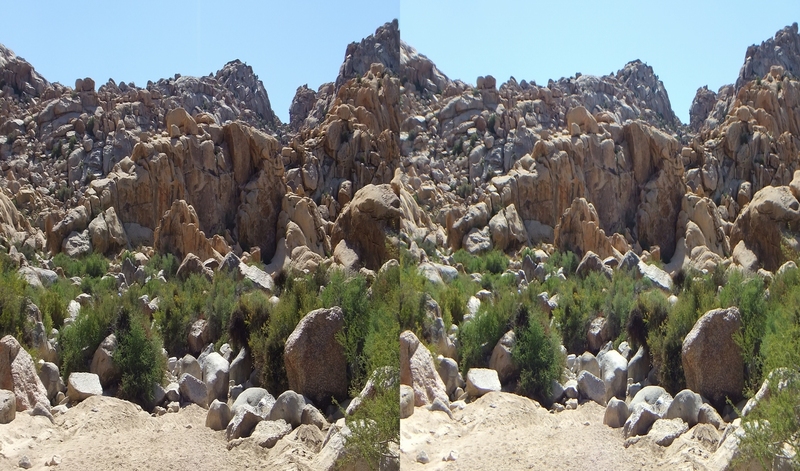 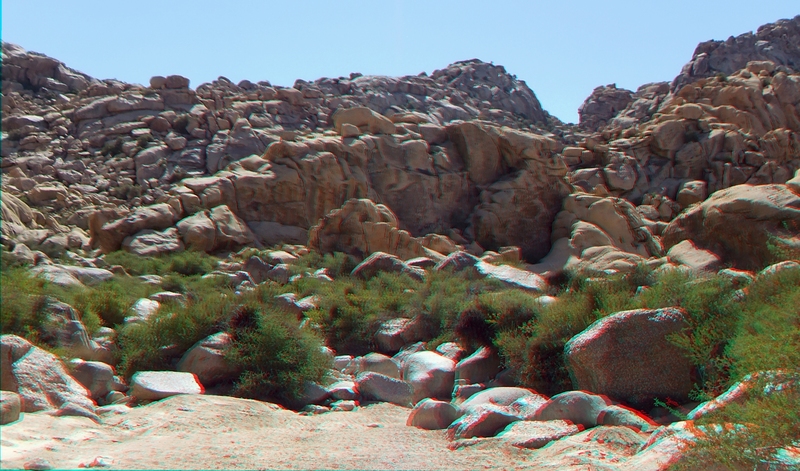 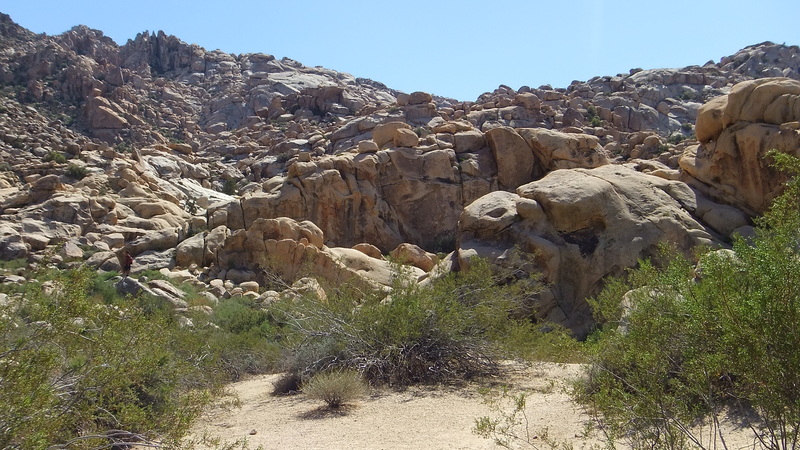 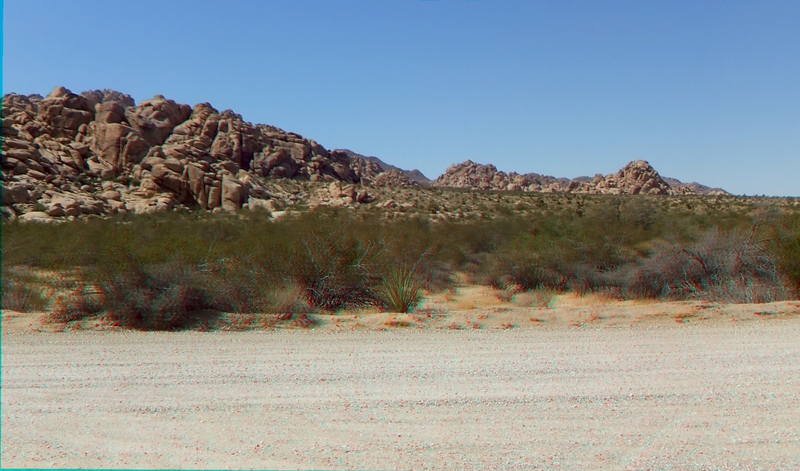 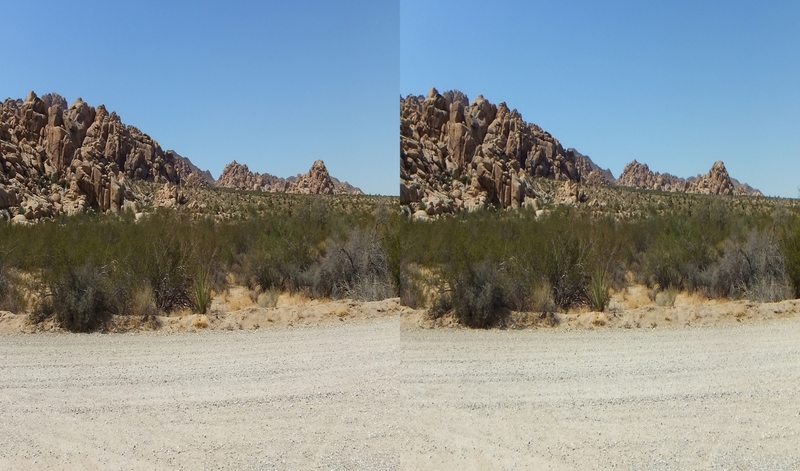 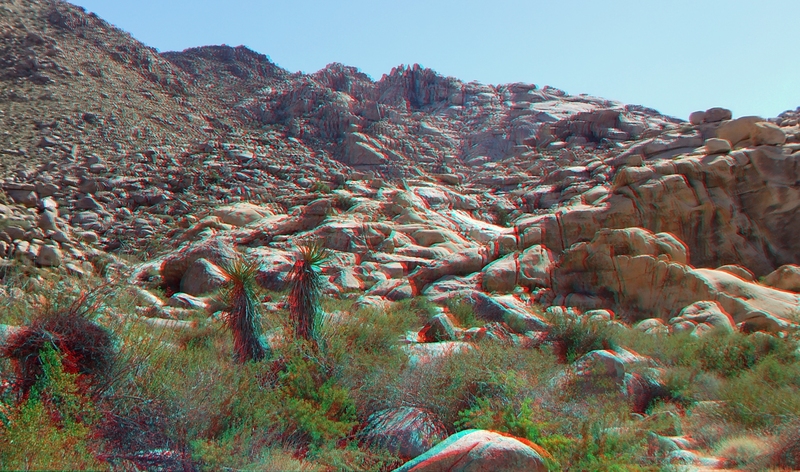 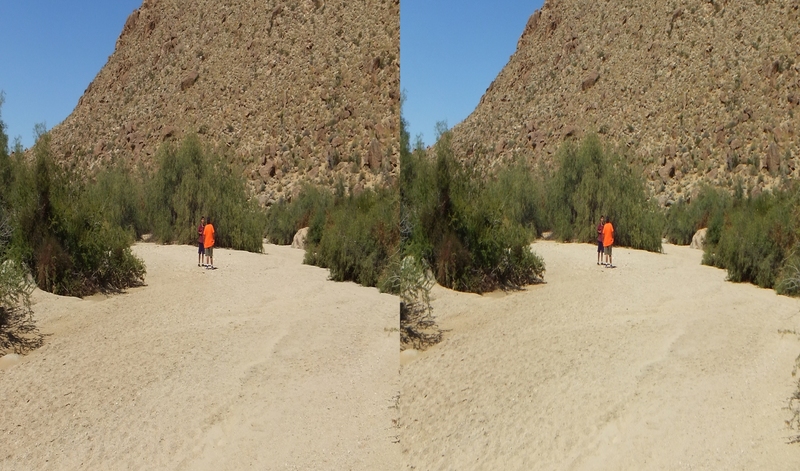 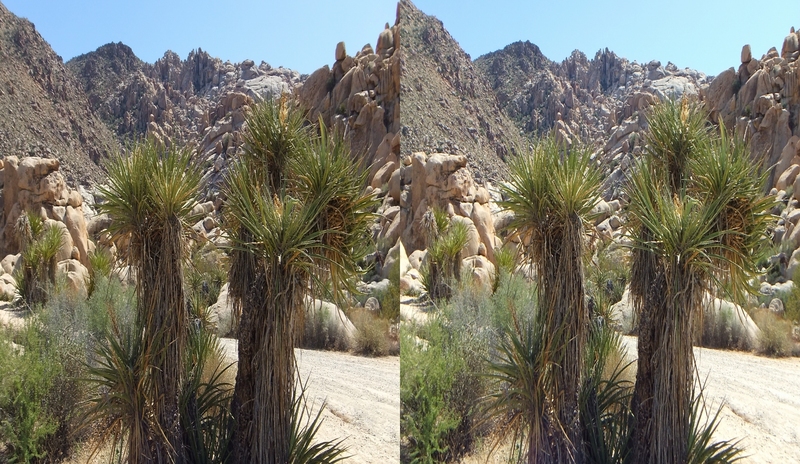 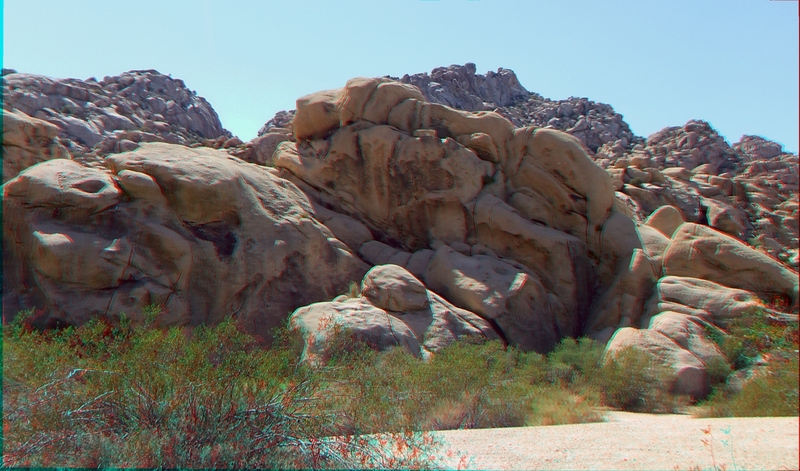 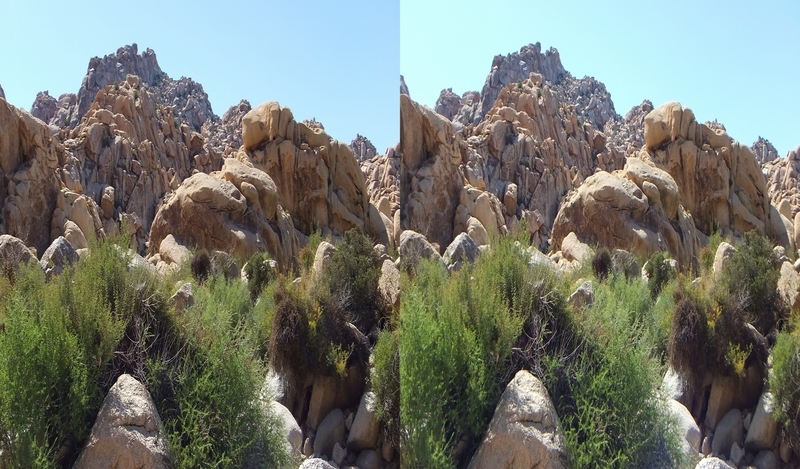 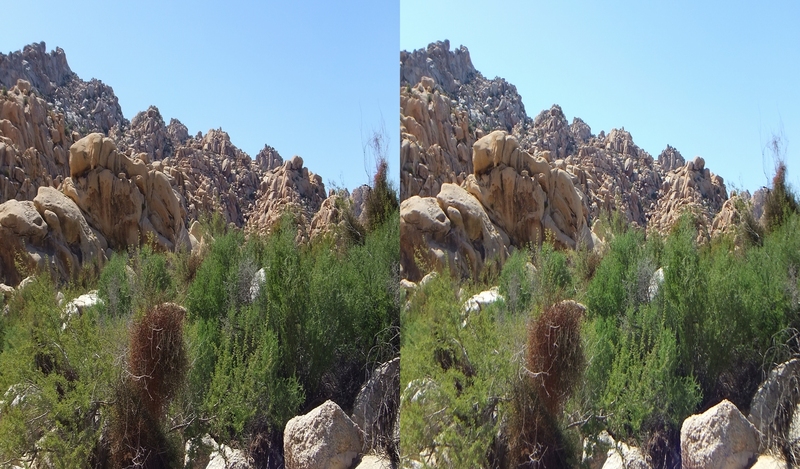 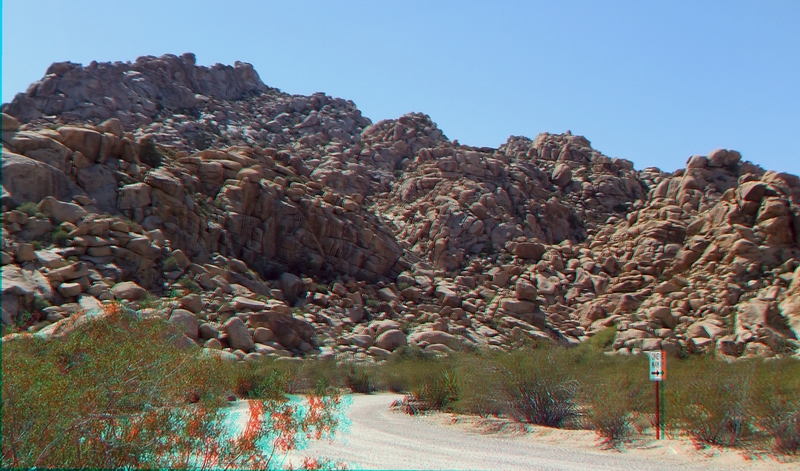 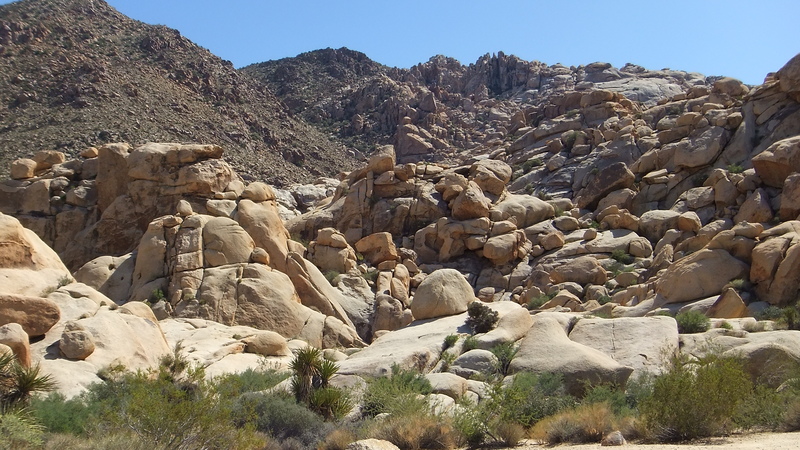 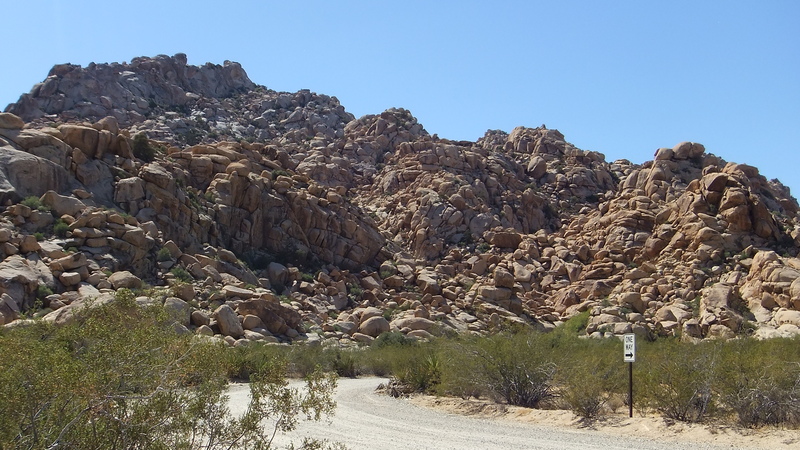 Thank you for visiting the Rattlesnake Canyon Picnic Area page and those for Indian Cove at Joshua Tree 3D.